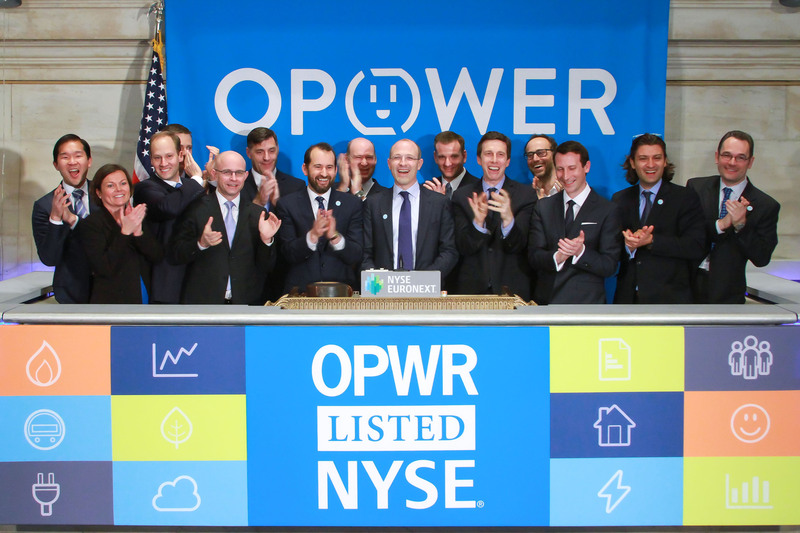 Energy software company Opower started trading on the New York Stock Exchange on Friday morning starting at $25 per share, a significant jump from the $19 per share that it priced at last night. Last month Opower set its price range at $17 to $19 per share. Opower’s stock dropped down to between $23 and $24 per share in morning trading as of 10:30 AM EST. By 230PM EST, Opower’s shares had leveled out around $23 per share. At the end of the day, Opower closed at $23 per share. 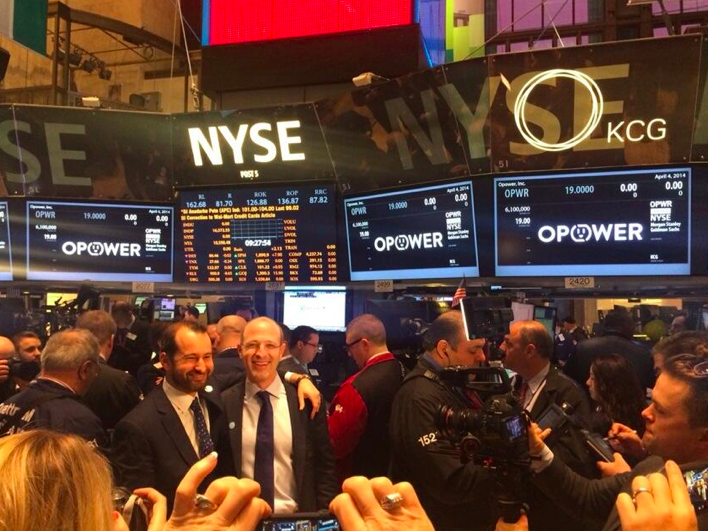 Opower executives at the New York Stock Exchange ringing the closing bell.